Yes, it’s that time of year again. And since I’ve had a very leisurely holiday, which included a trip back to my home state of Pennsylvania, I’m late posting this list. I’m sure most lists have favorite films, books and TV shows, but I’ve been so busy as a student that I haven’t absorbed much in the way of culture and content outside of music. And so, the 2012 list is music, music, music. RUNNER UP: I’ve been a fan of Bettye LaVette for a few years now. I learned about her from a few music blogs, then saw clips of her majestic Kennedy Center Honors performance and an appearance on Austin City Limits. Her albums have had great tunes on them, mostly remakes – a cover of Lucinda Williams’ “Joy” stands out – but in some cases on the previous albums, the song choices kind of blurred into each other. This was especially true of her British songbook CD. Her new album, “Thoughtful and Thankful,” is perfect from beginning to end. LaVette also reworks an old song, “Dirty Old Town,” written by Ewen MacColl (who, in addition to being the famed songwriter of songs like “The First Time Ever I Saw Your Face,”, is also the father of the late Kirsty MacColl). In any other year, “Thankful and Thoughtful” would have been my number one, for its amazing songs and the way LaVette lays bare her emotions on every track. But one album featured an even more transcendent performance. NUMBER ONE: My number one choice has been a constant on my playlists since I first fell in love with her music in 1989 and 1990. Songs like “Troy” were the soundtrack of my college days. And in 1990, she took a Prince-penned song – “Nothing Compares 2 U” – and made it her own. I’ve followed Sinead O’Connor’s music since, and though she’s had several great albums since – “Faith and Courage,” “Theology,” – but her 2012 album, “How About I Be Me (And You Be You)” is every bit as amazing as her initial music. The themes of her music – faith, love and the loss of love, and her own struggles with mental illness – make this my favorite album of the year. In a year of pop tarts and Autotune, O’Connor’s authenticity is like a cool drink of water in the desert for me. Aimee Mann: I love Mann’s music, and on several new songs from “Charmer,” she injected some different sounds and a lot of levity. I also liked “Labrador”, “Crazytown,” and “Living A Lie.” Check them out. Miguel Migs: I’ve gone down the electronica/chill tracks road, and one of the new songs released this year that I loved came from an album produced and compiled by notable DJ Miguel Migs. This Me’shell Ndegeocello collaboration is among my favorites. Frank Ocean: He’s on every Top 2012 list invented, and for good reason. Though I didn’t love every song on his debut album, there are several amazing tracks. And for his first public performance to be as arresting and amazing as this one? We’ll be seeing much, much more of him. Again, a true treat of unique talent and authenticity in a cesspool of corporate copycats. Gossip: Every time The Gossip puts out music, they land on my list – and my playlist! The Cherry Thing: I can’t wait for a new Neneh Cherry solo CD – rumored to be coming out in 2013 – but her vocals floating over the moody jazz/electronica of The Thing made for some fun beats. Music speaks to a wide range of human passions and human experiences – whether it’s rock and roll, country twang, rap music or a symphony. And people who are passionate about faith and about God have used music to express that passion. Let’s be honest, though: the genre known as “Christian rock” has produced some profoundly awful music – particularly back in the 80s and 90s, when the attempt to merge those two ideas was executed quite poorly by some major record labels. But there’s been some really great, thoughtful music in the last five to ten years from artists that we’d consider ‘mainstream rock artists, and that music has come forth in a very organic way. They explore their faith and their God in their songs. I think by avoiding that “Christian Music” label (which is, as all sales of music are, 98% about PR and where the music fits in a sales environment), it allows people to just hear the songs and experience them. Sufjan Stevens is one of my favorite artists. He’s got some inventive takes on rock and folk and I love his arrangements. His faith was a subject in a lot of the initial interviews he gave, and he was reluctant to speak about it. His attitude was that his music said it all. “Casimir Pulaski Day” is one of the more heartfelt songs where Stevens tackles a religious theme. Prefab Sprout has been around for even longer – about 30 years – and band leader and lead singer Paddy McAloon is critically acclaimed for being the Irving Berlin/Cole Porter of contemporary pop music. But McAloon has always worn his faith on his sleeve. The band’s most famous album, Jordan: The Comeback is about God. Or Jesus. Or Elvis. Possibly all three. McAloon’s output has been diminished significantly in recent years as he’s lost a significant amount of vision and hearing from health ailments (including severe tinnitus), but a few years ago the band released Let’s Change The World With Music, which has several songs with vivid religious imagery. I can think of no pop song as deeply vested with Biblical imagery than Prefab Sprout’s song “One Of The Broken,” one of my favorite songs of all time. And perhaps the most controversial person I’ll mention here: Sinead O’Connor. I know people remember her ripping the photo of the Pope on Saturday Night Live – a topic I addressed in an earlier post – but this is a person who is still actively exploring and questioning her faith and the meaning of it in her life. Which I think makes for some very compelling music. And no one in contemporary pop music is exploring faith in their music as often and as thoroughly as O’Connor. “I Don’t Know How to Love Him” may be a number from a Broadway song, but it takes on many more layers when O’Connor, who’s herself been a clergywoman, sings it. Her latest album ends with the stunning “VIP,” which questions crass commercialism and celebrity culture and designates God as her VIP. Sinead’s songs always make me really think about matters of faith and about how she examines those ideas. She’s a controversial figure and has a very messy public narrative, with her comments on religion and sexuality and her open struggles with mental health issues. It’s interesting that she’s often judged so harshly for her imperfections. What, I wonder, would Jesus say? A few weeks ago, the Urbanophile – one of my favorite blogs and one that covers urban studies, cities and economics – featured a guest post that discussed Manchester, England and some of the changes to the city’s economy after the steel industry and other manufacturing collapsed. It’s worth a complete read (linked above) but let me give you the Cliff Notes version: Manchester developed some sustainable alternate industries in the arts and entertainment sector, including music, film and television production. Manchester, in many ways, is very similar to Pittsburgh, my hometown. Pittsburgh has been active to a certain degree in film. The Pittsburgh Film Office has been working with Hollywood productions for over twenty years, and they’ve managed to attract really amazing films to be partly or completely shot in the ‘Burgh. Pittsburgh has a lot of amazing vistas and a diversity of scenery in its neighborhoods that makes it an ideal place to film. But hosting a film for a few weeks is different than having a dedicated film or television studio where ongoing work can be done. For a few years, I wrote a blog about daytime soap operas. Initially, it was an analysis of the content of those shows. But I found myself also writing a great deal about the economics of making those shows. They’d become expensive to produce. 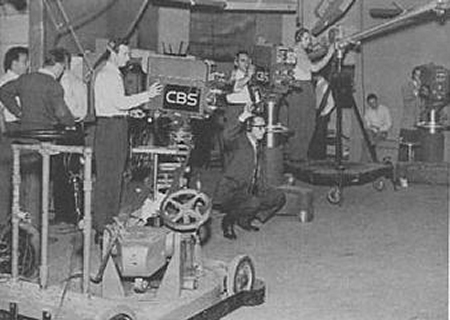 Set storage alone in an intensely dense space like Manhattan was a massive strain on production budgets. One show in particular, the now-cancelled Guiding Light, had a very public battle with economics that showed on air. 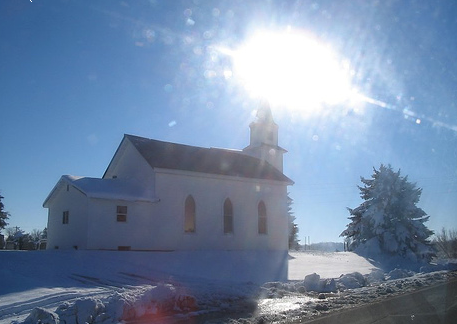 In order to reduce production costs, the show’s executive producer and production company tried some inventive ideas, including filming on permanent sets, renting a large house in rural New Jersey for filming, and switching to digital cameras. One thought struck me then, and it’s just as true of any TV show (or film) as it is for a soap opera. If New York City and Los Angeles are the two more expensive places in the country – for real estate, for cost of living, for everything – then why are we almost exclusively producing entertainment there? I can understand the pluses of Southern California weather, and the cluster of Broadway talent in New York City. But it seems like a no-brainer to me to diversify – significantly – where we produce entertainment so it can be done in a more cost-effective way. We aren’t using coaxial cable to relay TV programs any more, folks. Digital cameras can go anywhere, be anywhere and film anything at any time. Where else should shows be made? Well, there’s probably a lot of places that a sustainable industry could take root. 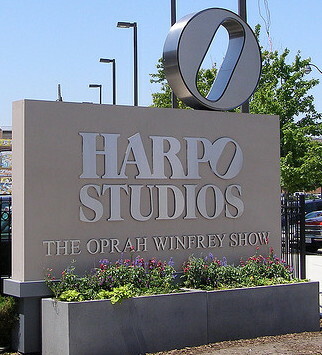 There’s a studio sitting empty here – perhaps you’ve heard of Oprah Winfrey and Harpo Studios? – with lots of ready-to-roll space for a film or TV production. And a production that isn’t made in NYC or LA might have the unintended side effect of – gasp – not having the everyone-lives-in-NYC-or-LA tunnel vision that so many shows seem to have. Pittsburgh doesn’t have the ready-to-go space yet, and I wish that infrastructure would happen. I’ve had an idea where it could happen for years. There’s a small city adjacent to Pittsburgh called Braddock, an area that was hit hardest when the steel industry collapsed. The mayor of Braddock, John Fetterman, has been on TV and in the New York Times trying to find a new lease on life for Braddock. It’s already gained a reputation as an artists’ community. Braddock has – and I intend no offense by saying this – a substantial level of decay, and has wide swaths of land where existing buildings could be razed or renovated into a large studio production space. And then, if I wanted to be really super-crazy, I’d suggest that a program could be set up to help unemployed or challenged young men and women learn trades (like sound, lighting, or production) that could be parlayed into steady work. Music, television, newspapers, books, and films – all of these media platforms have changed drastically in the last few decades. I think in order for these platforms to survive, the people who create and the people who deliver them will have to explore new methods of making them, and new methods of getting them in front of an audience. EDITED AUGUST 7, 2012 TO ADD: I was incorrect in saying Pittsburgh does NOT have substantial studio space. 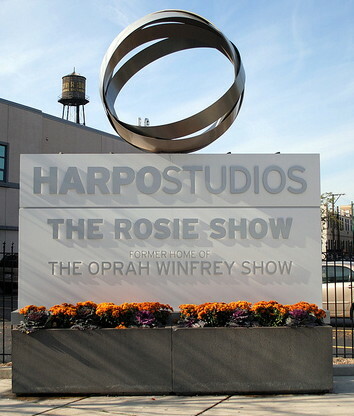 According to a CNNMoney article, there’s a studio with 300,000 square foot of space. My apologies. There have been some really vivid debates happening recently centering around artists and how they are compensated for their work. Much of the focus was a blog post by David Lowery, the leader of bands Cracker and Camper van Beethoven and an advocate for musicians. His blog The Tricordist published an excellent post yesterday as a response to an NPR intern admitting on air that of the 11,000 songs she’d downloaded, she paid for almost none of them. I talked about this here back in January and it’s a debate that’s been raging for a decade or so now since the advent of Napster. It also seems to be primarily generational, as younger music fans simply don’t see paying for music as a necessity. What musicians have to rely on when people don’t honor their work. I see obvious parallels between musicians and journalists. Ironically, the NPR intern – ostensibly a journalism or broadcasting major – will soon be in a job market where paying jobs have shrunk and the few opportunities open are often internships. The TV stations and newspapers in Chicago don’t think it’s economically wise to hire a newbie out of college, and much of their remaining budgets go to on-air talent or production needs. So those fact checkers, graphics editors and admins? All interns, all free. In other words, Emily the NPR intern will soon be experiencing the same thing the musicians she’s downloaded have: working without compensation. I have 13,000 tracks in my iTunes and have paid for 99% of them. Some may have been “ripped” from physical CDs but at some juncture, I paid for them. I have a small, tiny sliver of unpaid tracks that in most cases, were unavailable in any format or out of print. Maybe this is the hey-you-kids-get-off-my-lawn old man coming out in me, but it IS increasingly a moral issue to me. If people don’t understand that they are stealing, then we have a serious issue. How would most hourly employees feel if, at the end of two weeks of work, your company simply didn’t pay you for your work? We’d have riots in the street. Why is that unacceptable for “most of us” but OK for artists, musicians and writers? Another recent content related controversy surrounds the cartoonist Matthew Inman, better known as The Oatmeal, and a conflict he’s had with the team that runs the Web site FunnyJunk. FunnyJunk appears to be a site where users upload content – any humor-based content they want. Inman found several hundred of his works uploaded to FJ without any attribution as to who created them. I won’t fully recount the blow by blow here – it’s just too odd and bizarre to believe – but instead of honoring Inman’s intellectual property claims, FunnyJunk’s lawyers sued him for compensation, claiming they had been slandered. Or in simpler terms: An artist was expected to comply with the free, uncompensated use of his work. To me, these issues underscore how we see work in this country, what we see as valid work (often only white collar work is valued), and how we compensate people for their time and efforts. Honestly, I can’t believe I have to write a post defending someone as genuinely influential and amazing as Fred Rogers. Our neighbor – then, now and forever. But his legacy came under attack again last week during a now-widely discussed high school commencement speech. David McCullough, an English teacher and son of historian David McCullough, gave a pointed and blunt speech to stunned students telling them they aren’t special. It was meant as a wake-up call to the “everyone gets a trophy” and “helicopter parent” kids. And I agree with many of the points McCullough made. Mr. Rogers is being blamed for “coddling” kids and making them into belly button gazing narcissists. And McCullough isn’t the first one to do so. The late Jeffrey Zaslow, a former Wall Street Journal, wrote an entire article blaming Fred Rogers for the “me me me” epidemic. I always try to see multiple viewpoints and multiple “sides” of an issue. I get that education is a complex topic in this country and an increasingly political one. But come for Fred Rogers, and I will bear down the force of a thousand suns to protect his legacy. I can’t even put into words how much I disagree with the “blame Mr. Rogers” movement. Yes, he does say to children, “You’re special.” But there are a ton of apples-to-oranges comparisons being made – lots of claims without looking deeper at his work. 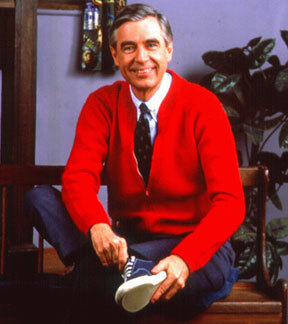 Mr. Rogers’ Neighborhood emphasized the unique qualities of each child and each individual. And at the developmental stage that the show was aimed at, that was – and still is – a valuable and necessary message. There was nothing – absolutely nothing – in his messages that suggested that children didn’t need to strive for goals, or work hard, or any of the disconnections from reality he’s been blamed for. All he recognized is that children may take different pathways to success, and that different people had strengths in different areas. Fred Rogers was an educator for longer than many of us have even been alive. He was involved in the medium of television as early as 1954 and his shows always had the same goals – to encourage education, inspire learning and cultivate curiosity in children. This wasn’t a ego trip for him or a chance for him to be a ‘star,’ and as this astonishing video clip shows, he was willing to fight very hard for what he believed in. What you saw on air of Fred Rogers was – surprise – exactly who he was off camera. His background as a Presbyterian minister was a foundation for what he felt was a mission to guide and inspire children to learn, to grow and to feel safe – a crucial focus at a time where the nightly news showed the horrors of Vietnam night after night (and quite frankly, a need that is timeless). Conservative news sites have taken McCullough’s speech and made it a call to arms. The narrative being put forth in conservative media is that the “everyone is special” message must clearly equal coddling from liberal leaders and educators. A few observations on this phenomenon, if I may. Firstly, we need to step away from politicizing education and work together to improve learning and improve outcomes. Some no-nonsense common sense goals and boundaries would be welcome, but making education one of the us vs. them, liberal vs. conservative, Democrat vs. Republican battles will favor no one. Secondly, the conservative and evangelical view is that every life has value and every life is special. And that can’t apply just in utero, can it? I see such a direct and clear connection between Fred Rogers’ faith, and his contention that every child is special. I would think many Christians would see the same connection. And one final irony: being told that you’re not special, that you’re just one of a group and that you get what the guy next to you gets…..that sounds a bit to me like….oh, what’s the word that’s been tossed around frequently in politics in the last few years? Oh wait, that’s right: COMMUNISM. Celebrating the uniqueness of the individual, the independent spirit – that, to me, is America and the most patriotic thing we can do. And to me, that’s what the legacy of Fred Rogers represents. I don’t disagree with McCullough’s basic premise. There is vast room for improvement in our education system. Children (and the adults in their lives) definitely need to understand that achievement is earned, not a given, and that hard work and intense studying is crucial. I’ve seen what happens when a child is overly protected from criticism and failure. I’ve worked with many people like that in my career, and few things are as aggravating as trying to give feedback to someone who never learned to take constructive criticism. We urge children to succeed, but we don’t always teach them how to fail, and how to recover from that. Self-reliance is an obvious goal. Living a life where you can care for you and your family takes away a lot of fear and uncertainty and it empowers people. I completely co-sign that idea, too. I have no arguments with those points. But instead of dismissing Fred Rogers and his magnificent legacy of work, perhaps it’s time to reexamine that legacy and see what else he can teach us about reaching the hearts and minds of children. His work and his ideas are timeless. In the same week that McCullough dismissed Rogers in his speech, a YouTube video featuring debuted on the PBS YouTube channel. It has garnered over three million page views. As a kid who grew up in Pittsburgh, Fred Rogers was always there and always “ours.” I didn’t fully appreciate his work until his death in 2003. He has been gone for almost ten years now. He’s very much missed, and the world could certainly use more leaders and teachers like Fred Rogers. EDITED TO ADD: A former colleague who read my post on Twitter sent me a link to another great post about Fred Rogers; the post, in turn, reminded me of the acceptance speech that Rogers made at the 1997 Daytime Emmy Awards. The Emmys, of course, are an awards show. For once, Rogers had an opportunity to make the moment about him, or his team, or deliver some variation on the usual thank you’s that winners make. What he does here (starting around 1:45) is beyond astonishing in its grace and its simplicity. Please watch. Instead of blogging about a musician or band this morning for Music Monday, I wanted to ponder the value of music in today’s mostly digital marketplace. More to the point, I want to ask: Do you believe it’s OK to download music for free, without giving anything to the artist? This is not a new discussion or a new issue – it’s one that’s been happening for more than a decade. As music sales have moved from brick-and-mortar stores and physical music platforms like CDs to digital files, so has the ability to access MP3s and music files online. Napster was the first platform to encourage music trading, but even without it around, a thousand others have popped up in its wake. And the concept of “owning” a piece of music vs. having access to it on a smartphone or computer is an increasingly gray area, thanks to new platforms like Spotify, which uses a mixture of music files and its own radio station. I guess my debate is more of a moral one: why do so many people think it’s perfectly OK to take something without paying for it? One argument that’s always put forth is that all record companies are evil behemoths and won’t miss the money. Yes, many record companies past and present have only a tenuous connection to the artistic side of the process, if they have one at all. Many labels have mishandled artists or mismanaged their money or made decisions that were good for business but bad for art. No doubt about that. But if a record company is not paid for the product that it distributed, I can guarantee it won’t be their general ledger that takes a hit. The artist will. And that’s likely why artists are now consistently saying they make no money whatsoever on an album. Touring is their sole way to make money from the music they create and play. The second argument is more troublesome to me, and the argument is essentially this: I’m [fill in the blank: unemployed, underemployed, poor] and can’t afford to buy this music, so I’ll just download it. When people loot during a crisis, there’s almost universal condemnation of that action. And it is morally wrong. It’s often an act perpetrated by people who are poor and who may be looting for the basics of life to survive. Downloading music and not paying for it? Is digital looting. Is my own conscience clear? I feel that it is. I pay for files on iTunes. I think there’s been maybe two or three times that I’ve downloaded a file; in all those cases, it was a “leaked track” by one of my favorite artists. I knew the moment it became available I was buying the entire album. For a few older albums, I “ripped” the album from a physical CD into my iTunes library. I bought those albums several times over (on vinyl and cassette) so I know that I’ve paid for the music. And I still make mixtapes, so to speak (on CD now). So I do share songs with friends. But (a) I’ve paid for the song/album and (b) if I share it, it’s not going to be shared into infinity with thousands of users. And (c) I’ve introduced people to music which in many cases spurred them to buy the entire album and/or other music by the same artist. Maybe it’s just me entering the hey-you-kids-get-off-of-my-lawn phase, but it really troubles me that so many people see no issue with stealing music. Because no matter how many ways we slice it, my final thought always comes back to this: How would you feel if you worked for a week, or two weeks, or whatever your pay cycle is…. I’m guessing mass rioting would occur. So if it’s not ethical if someone does it to you, why would it be ethical to take the value (perceived or monetary) of someone else’s work and assume it as your property?